Some managers seem to be under the impression that the key to success is playing less games. Only the don’t. And that’s my point. To lift a trophy, you’ve got to play matches. Strange, I know. 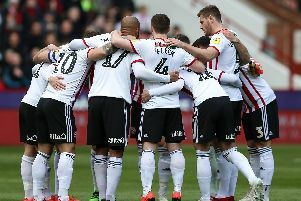 Nevertheless, when you analyse Sheffield United’s fixture programme between now and the end of the campaign, you can understand why those without the luxury of a huge squad might be tempted to prioritise here and there. Nigel Clough’s team, after reaching the semi-finals of the Capital One Cup and facing an FA Cup fourth round replay against Preston North End next week, must take to the pitch a minimum of 22 times before packing away their boots for the summer. Or, to put it another way, once every 4.27 days. The worse case scenario, should they reach May’s showpiece at Wembley requiring replays all the way through, would see that figure drop to 3.48. And that’s without taking the play-offs or possible abandonments into account. Which has set me thinking. Surely the Football League, as it struggles for coverage in this increasingly Premier League-centric age, should do more to help its members when they face the big boys. Rather than, albeit inadvertently, punish success. Abolishing draconian selection rules in the Johnstone’s Paint Trophy would be a start. Why not insist that clubs must play a set number of home-grown or under-21 players instead of those regarded as part of the first team squad? As United demonstrated, when a squad eleven containing seven home-grown youngsters beat soon-to-be promoted Rotherham last term, doing so does not necessarily have a detrimental effect upon performance. Moves to curb the loan market threaten to make the situation even worse. Something has got the give. Hopefully it won’t be the FL managers ‘interest in knockout competition. Because that would be a crying shame.